Presenting a bunch of die-hard foodies from Hyderabad, who are killing it in the food Instagram stakes! Food sets the mood right and there's dearth of lip-smacking food when you're in Hyderabad. But how well do you know all the city's food secrets? Do you know where to find the best kebabs, biryani, mutton paya, kacche gosht ki biryani, sheer khurma, double ka meetha and badam ki kheer? These foodies from Hyderabad will help you out! 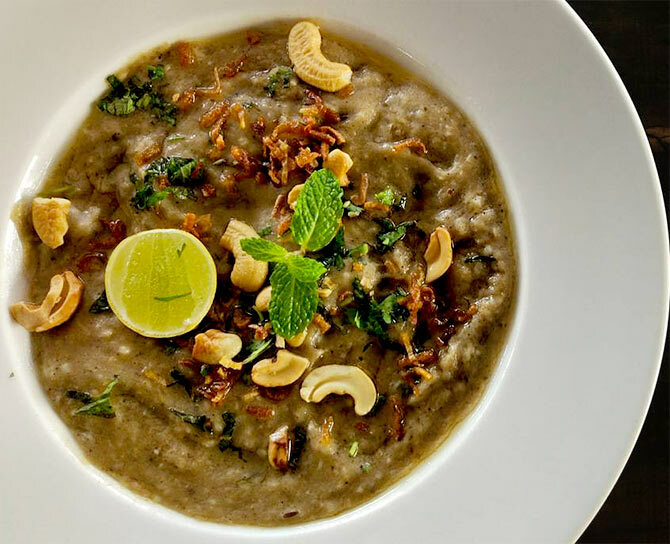 IMAGE: Delicious Hyderabadi haleem at Zaiqa-E-Hyderabad. If you are on his Instagram page, don't forget to check out pics of delicacies like the mouthwatering kacche gosht ki biryani, galauti kebabs from Dhaba by Cladridges, etc. 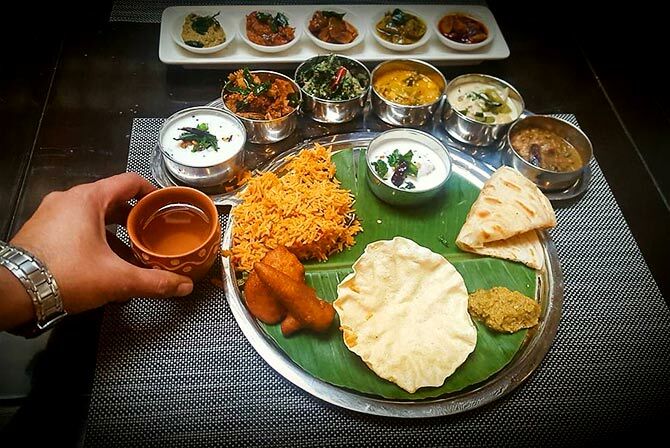 IMAGE: A thali with Chettinad specials. Meet the explorer of good food around Hyderabad. This foodies lives by the belief that 'good food always sets the mood.' Probably that's why you'll spot delicious and tempting pics of hand-churned sugarcane juice, falooda kulfi, kaja (popular dessert), guntur idli with six chutneys, and much more. IMAGE: Hyderabadi street food served in a laid back setting with paya, marag, lukhmi, patthar ka gosht, double ka meetha and biryani. Shagun Seagan of Eat Trip Click feels that 'happiness is real, only when shared.' That's the reason why she doesn't hesitate to share delectable pics of gastronomical adventures in the city of nawabs. 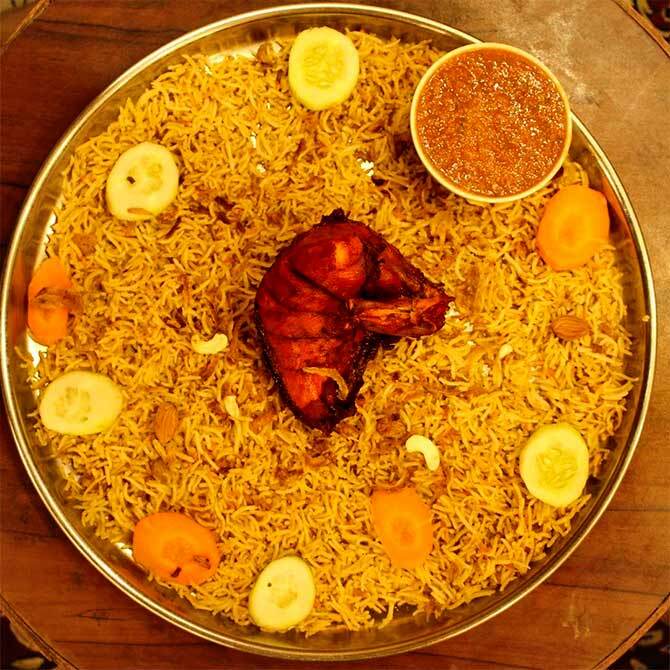 Be prepared to tease your palates with mandi with barbeque chicken, murg hazrat mahal, anannas ki boti, etc. 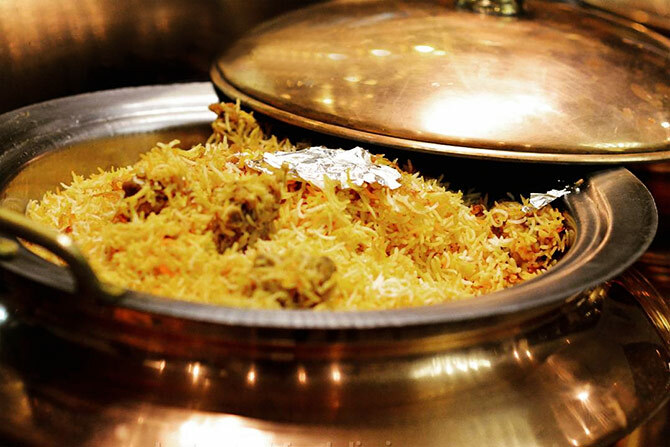 IMAGE: Hyderbadi biryani at Sheraton Hyderabad. This is the Instagram page to follow if you want to know more about the best food in Hyderabad. 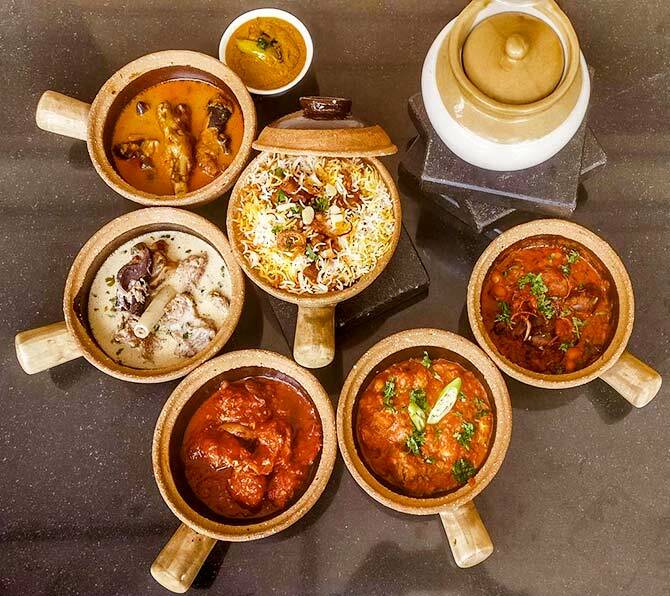 You'll be spoilt for choice with scrumptious pics of bamboo chicken made in the traditional Andhra style, avocado milkshake at Pista House, mandi and mazhgoth with mutton from Al Qaswa, etc. 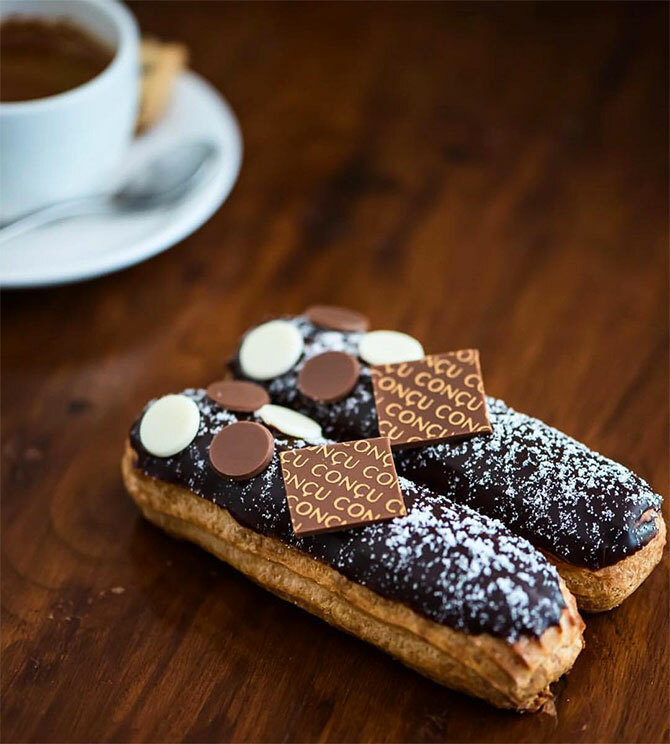 IMAGE: One of the many delicious treats at House of Concu, chocolate eclairs. Hyderabad Foodicious is the new-kid-on-the-food-block. They provide a curated food inspiration for followers with a tiny accompanying review -- one yummy post at one time. They'll tell you where to feast for non-traditional and local delicacies too like where you should head to, to satisfy your cravings for cup cakes, dessert and more. Talking of desserts and sweets, you must visit Badam ki Jali. It gets its name of one of the oldest sweets of Hyderabad, which is made by a couple of old Hyderabadi families. 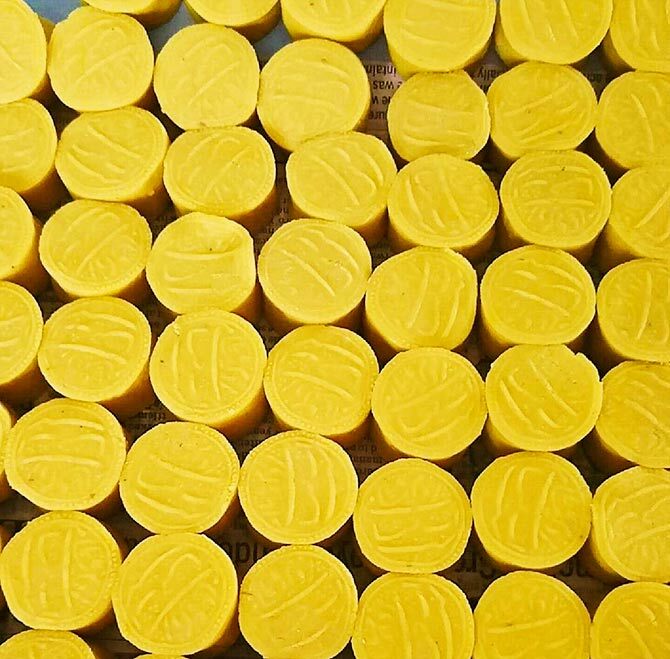 The history behind these sweets is very interesting and so are the people making it. They have lovely food trays made of kaju that will make you drool. The family who runs this Instagram page has been making 'pure vegetarian' cashew and almond sweets since 1972. Frugal foodies, this page is perfect for you. From ice creams at just Rs 50 to Turkish chicken shawarma for Rs 80, this foodie will give you a glimpse of all the places in Hyderabad you can eat when on a budget. The posts are usually followed with details of the eatery, price and address -- you will never be lost for frugal options when in Hyderabad. 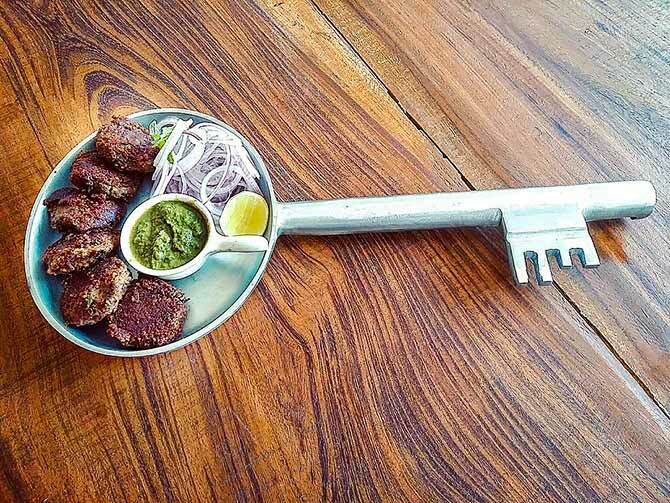 IMAGE: Follow the The Food GlanZer and find the key to the most delicious galouti kebabs in Hyderabad. This foodie is on a mission -- not just to glance through food (as the Instagram handle suggest) but also feasts on some utterly yummy food in Hyderabad. It is a treat to view tempting pics of traditional food like biryani and kebabs, to exotic varieties of sushi, veal shank and paan mousse. Have you tried the Boat Dosa? Craving for authentic Bengali food?